As an often-helpless researcher of poets from centuries past, I used to envy those who translated contemporary poetry, for I thought that if they encountered any difficulties, they could always turn to the living author. However, when I translated Xiao Hai’s Song of Shadows, I preferred to waive this privilege. I came to understand translation as the closest form of reading, a process of understanding and re-creation—like playing a piece of music. First, the musician must read the composer’s score correctly, and then she can interpret it in her own style. The original’s musicality is the greatest loss in translation. Modern poetry no longer emphasizes rhyme scheme, but its inner music still breathes a poet’s unique spirit. Though I try to preserve this quality in my translations, I can’t replicate what I hear in the original. The impossibility of doing so lies in the fundamental linguistic differences between Chinese and English; each language, as well as each poet, has certain sounds and rhythms to convey particular moods. But the issue also owes to the fact that musicality is subjective, beyond reason and logic. This problem is frustrating to a translator, but it is also where the creative quality of translating comes into play. When I asked a fellow poet and translator whether my Seamus Heaney translations looked like poetry, he replied, “There is no such a thing as ‘like poetry’; they must be poetry.” If loss in translation is inevitable, it follows that the translator must do something to compensate. As I began to translate Song of Shadows, I admitted to Xiao Hai that I was afraid of misunderstanding his poems, but he believed in me. Even misreading would enrich a poem, he said. Good poetry should be open to all potentialities. With this blessing, I proceeded with the freedom to employ a poeticism borrowed from English. For me it was more like writing than translating. For readers of both English and Chinese, some of my choices might seem puzzling. For instance, a Canadian teacher once questioned the phrase “starry chirps” in Poem No. 36, doubting the connection between starlight and bird sounds. I kept it, though, because I believe that all is possible in poetry and that strangeness and shadowiness are at the very heart of poetic language. I made every effort to retain the original poetic mystery and beauty, and to leave room for the imagination. Unnecessary transformation, paraphrase, or prosaic discourse would have killed the collection’s essence. Xiao Hai once said, “The translator should share the poet’s spiritual vibration.” This is what I aspire to. 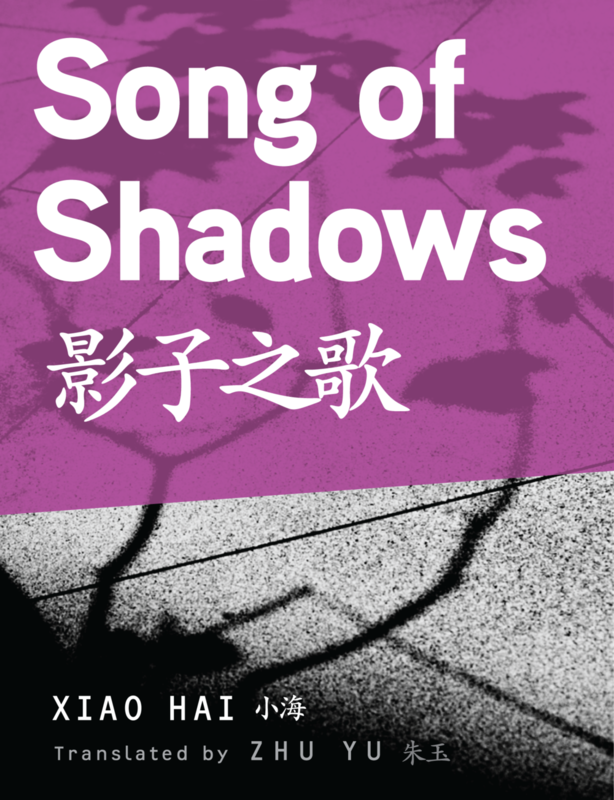 When he gave me the hot-off-the-press Chinese version of Song of Shadows as a gift, I didn’t open it immediately.“Most of the poems are in my heart,” I told him. I am grateful to him for granting me the privilege of translating those poems and bringing them out of my heart and into the English-speaking world. Zhu Yu is a lecturer in the English department at Capital Normal University, Beijing. She received her PhD in English literature from Peking University in 2010 and was a Fulbright visiting student in the English department of Yale University from 2007 to 2008. Her research interest includes British Romanticism and contemporary poetry. She has published essays on William Wordsworth and Seamus Heaney in many academic journals. She has translated into Chinese selected poems from Seamus Heaney’s Human Chain (2013) and Seamus Heaney 2001-2010 (forthcoming).